Does your partner constantly complain about your snoring? Do you wake up in the middle of the night for no reason? Do you toss and turn in bed, and feel like you just aren’t sleeping well at night? If so, give us a call today for your Free Consultation. You may be suffering from a common, but under-diagnosed problem known as Obstructive Sleep Apnea (OSA). Obstructive sleep apnea occurs when your muscles relax during sleep, allowing the soft tissue to collapse and block the airway. As a result, sleep apnea causes you to stop breathing, anywhere from a few seconds to more than a minute. Snoring, excessive daytime sleepiness, memory problems, irritability, fatigue, and insomnia are all signs that you could be losing shut-eye to sleep apnea. If left untreated, sleep apnea can be a potentially life threatening condition. Its been shown to be associated with heart attack, stroke and even death. While the wide variety of sleep sounds that come from bed partners can range from soothing to scary, snoring, in particular, can indicate a real behind-the-scenes problem. 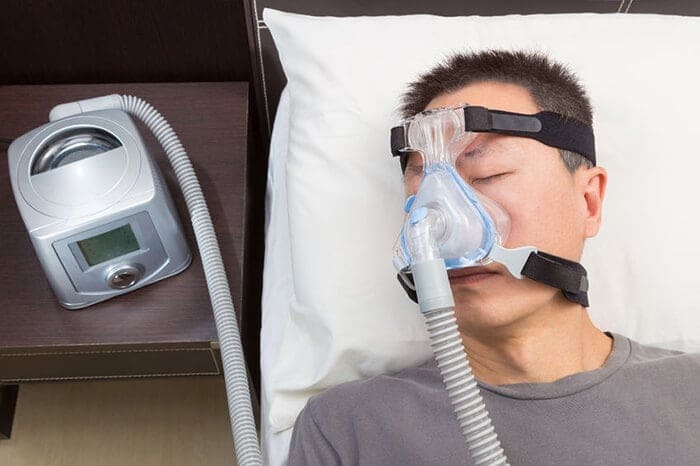 The traditionally prescribed treatment for obstructive sleep apnea is continuous positive airway pressure (CPAP) therapy. It involves sleeping with a face mask connected by tubing to a constantly running machine. Although CPAP is quite effective when used as prescribed, up to half of patients don’t adhere to the treatment. Oral appliance therapy is an alternative and non-invasive treatment option for snoring and obstructive sleep apnea for mild to moderate cases. A dental oral appliance looks like a sports mouth guard and is worn only during sleep. It supports the jaw in a forward position to help maintain an open upper airway, preventing sleep apnea and snoring. A custom-fitted oral appliance is fabricated using impressions and models of your teeth. Patients like it because it’s comfortable, easy to wear, quiet, portable, convenient for travel, and easy to clean. This appliance also prevents you from grinding your teeth, which is thought to be a part of the underlying sleep problem. We provide you with a sleep testing device to assess your sleep at the comfort of your own bedroom. Click here for more information.